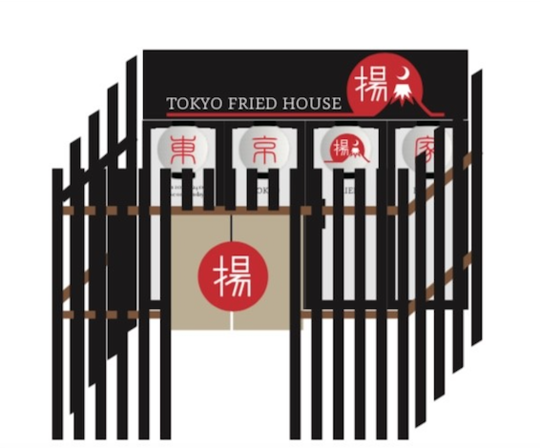 Tokyo Fried House is the first Traditional Japanese fried food restaurant in Malta with real Japanese taste. 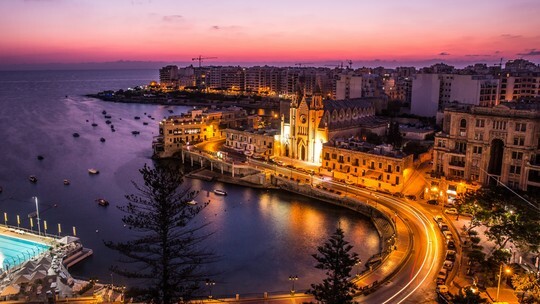 The owner of the restaurant is from Japan and the reason he decided to make a Japanese restaurant in Malta, was because he did not find real Japanese food here and he wants everyone to experience the real taste of Japanese food. 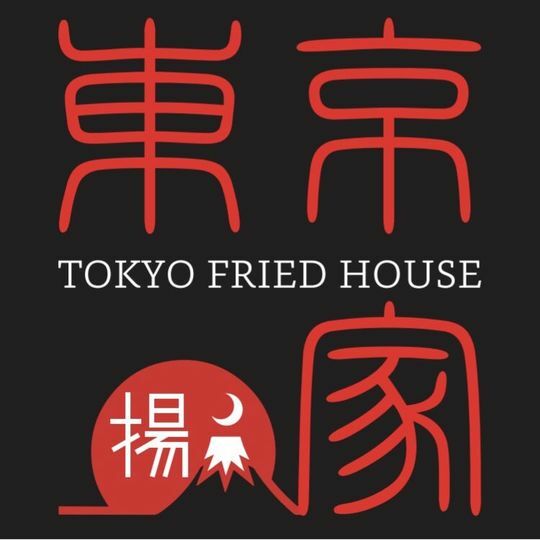 We have had numerous and deeply complicated obstacles along the journey to get Tokyo Fried House open. I can whole heartedly say that we are past the major issues of this project and that we are in the last quarter. Within the past year, we have been working tirelessly on planning, organizing and programming the space. Lawyers, bankers, landlords, brokers, architects, designers, contractors, engineers... and now we are finally finished with construction. Our doors are finally open, but we are looking for supporters to open the restaurant properly. For now the restaurant is open from Tuesday - Sunday, 11:30am - 14:30pm and 18:00pm - 23:00pm. So you thought Japanese food is all light tasting and delicate? Think again! 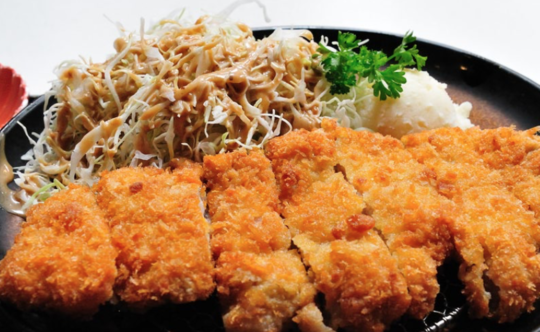 Fried foods are a common part of Japanese diet and food culture. The cooking process of these fried foods is refined to a subtle art, resulting in crispy and golden, yet surprisingly less greasy versions of their Western counterparts. WHAT KIND OF DISHES & DRINKS DO WE HAVE? 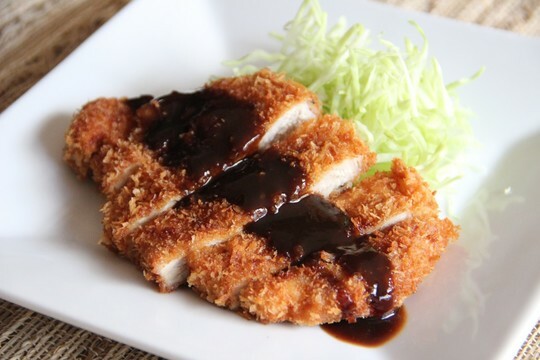 We will have a wide selection of specialities and delicacies, for example: tonkatsu(とんかつ) refers to the thick pork loin that has been fried in oil after being breaded with flour, beaten eggs, and panko bread crumbs (パン粉), it is served with the special tonkatsu sauce on top and shredded cabbage on the side. We also offer Miso soup(味噌汁), which is a traditional Japanese soup consisting of a stock called "dashi" and mixed with miso, with a lot of side dishes and don’t forget to try out our selection of Japanese sake. 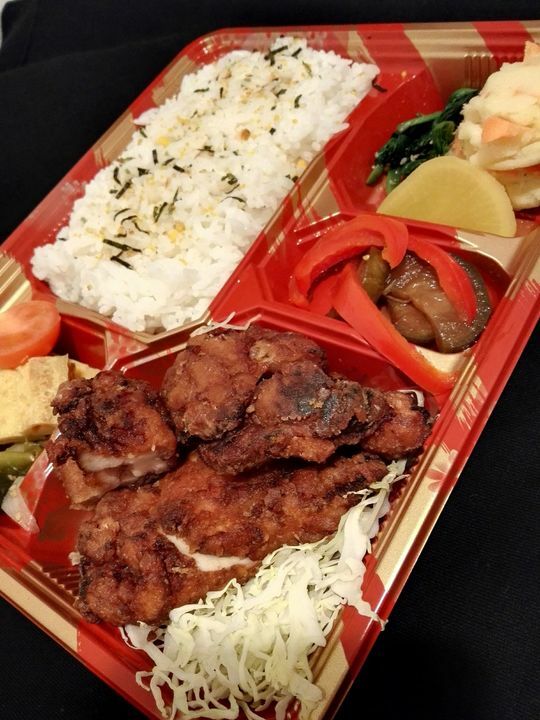 We will also have take away bento boxes. 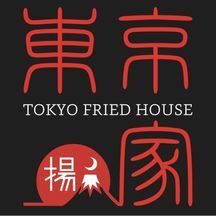 We are excited to bring Tokyo Fried House to the amazing island called Malta, because it's still hard to find real Japanese food here. If you help us, then you will receive rewards for every contribution you make. Our goal is to raise 3000 euros. It would fund the payment for a freezer. We need a new freezer to keep more stock and make our menu bigger to serve more dishes. All donations would help us a lot with opening of the restaurant properly!! We are offering wonderful perks to all those who contribute to our campaign. including delicious meals and tasty wines, sake tasting, special course menus and more! 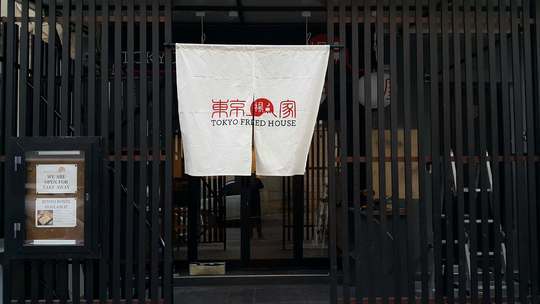 Tokyo Fried House Restaurant will receive all the money of the fund-raising. 1 bottle of the best tasting wine, picked by Tokyo Fried House. Thank you! Glass of wine or a can of soft drink free with each meal you order for 3 months, every time you visit our restaurant. Thank you! Glass of wine or a can of soft drink free with each meal you order for 6 months, every time you visit our restaurant for your group. Thank you! Coupon for €100 at our restaurant. ( We don't give cash change back). You can use up to €50 maximum per visit. Thank you! Special lunch + unlimited drinks from our free drink menu for 2 people. We will make a special lunch course (€100 -> €80) for you and your friend/partner. 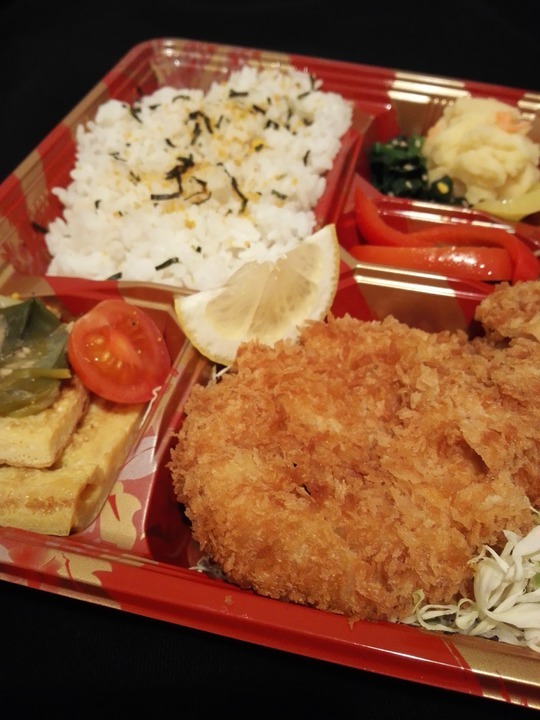 For example platter for 2 (try out different Japanese dishes on 1 platter) + Hirekatsu, karaage, rice, miso soup, gyoza, fried potato, agedashi tofu, corn butter, eda mame and drinks of your choice. Thank you! Coupon for €130 at our restaurant. ( We don't give cash change back). You can use up to €50 maximum per visit. Thank you! Otsukare Sama Set (today's dish or platter), for example Eda mame (Boiled and salted green soy beans), Kimchi (Korean spicy cabbage pickles), Hiyayakko (Fresh tofu with chopped green shallo), Gyoza (Japanese pork dumplings) or sushi + free drink for 1 month. Thank you! Special dinner + drink (Sunday - Thursday). We will make a special dinner course (€150 -> €100) for you and your friend/partner and 1 glass of drink for both of you. 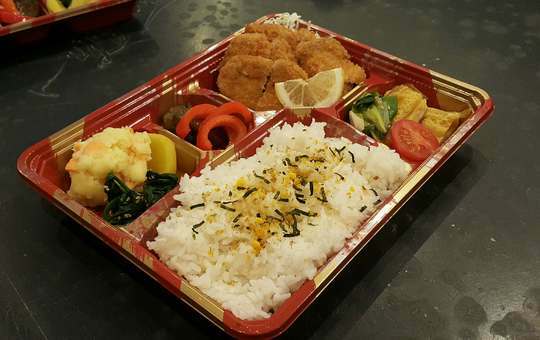 For example platter for 2 (try out different Japanese dishes on 1 platter) + Hirekatsu, karaage, rice, miso soup, gyoza, fried potato, agedashi tofu, corn butter, eda mame, sushi and a drink of your choice. Thank you! Special dinner + drink (Friday - Saturday). We will make a special dinner course (€150 -> €110) for you and your friend/partner and 1 bottle of wine or unlimited drinks from our free drink menu for both of you. 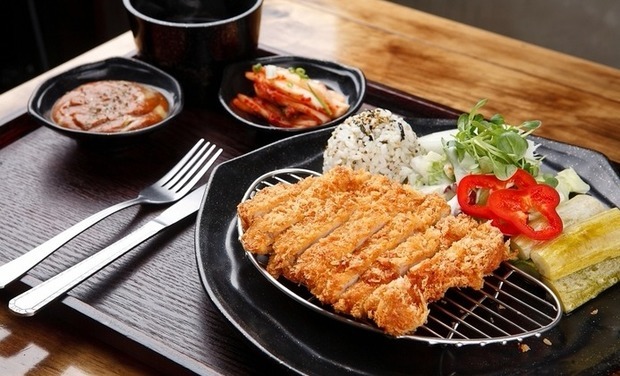 For example Shouga yaki , special platter (try out different Japanese dishes on 1 platter) , rice, miso soup, gyoza, fried potato, agedashi tofu, corn butter, eda mame and drinks of your choice. Thank you! Special dinner at the VIP seat for 2. We will make a special dinner course (€170 -> €110) for you and your friend/partner in the VIP area. For example platter for 2 (try out different Japanese dishes on 1 platter) + Hirekatsu, karaage, rice, miso soup, gyoza, fried potato, agedashi tofu, corn butter, eda mame. Thank you! Special sake pairing + dinner for 2. Different Sake will come with each dish (atleast 5 different one or more). We will make a special dinner course for you and your friend/partner and you can also try different brands of Japanese sake. For example rice, miso soup, gyoza, Shouga yaki ,Hirekatsu, special platter(try out different Japanese dishes on 1 platter) , fried potato, agedashi tofu, corn butter, eda mame, sushi and the best Japanese sake from us. Thank you! Special dinner + drink for 4 people (€300 -> €150) (Sunday - Thursday). We will make a special dinner course for you and your friends and unlimited drinks from our free drink menu or a bottle of wine for each of you. For example rice, miso soup, gyoza, Shouga yaki ,Hirekatsu, 2 special platters(try out different Japanese dishes on 1 platter) , fried potato, agedashi tofu, corn butter, eda mame and drinks of your choice. Thank you! Coupon for €200 at our restaurant. ( We don't give cash change back). You can use up to €50 maximum per visit. Thank you! Special dinner + drink for 4 people (€300 -> €160) (Friday - Saturday). We will make a special dinner course for you and your friends and unlimited drinks from our free drinks menu or bottle of wine for each of you. For example rice, miso soup, gyoza, Shouga yaki ,Hirekatsu, 2 special platters(try out different Japanese dishes on 1 platter) , fried potato, agedashi tofu, corn butter, eda mame and drinks of your choice. Thank you! Free dinner for 3 months. 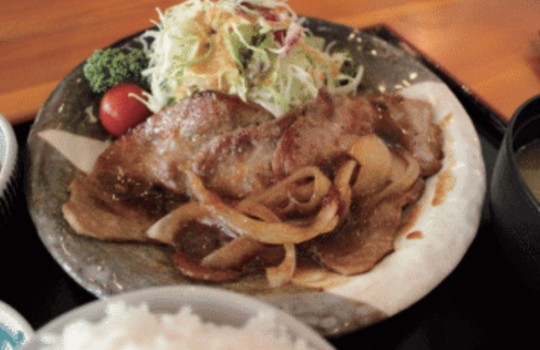 (You can choose your dinner from the main dishes only). Thank you! Coupon for €1000 at our restaurant. ( We don't give cash change back). 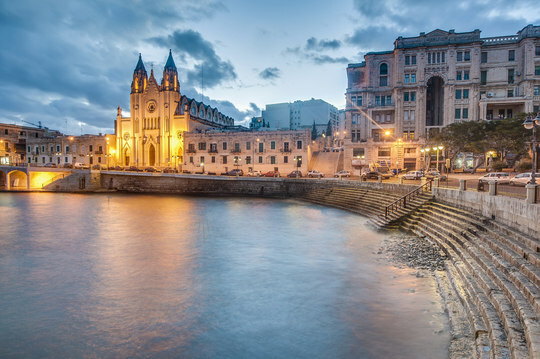 You can use up to €100 maximum per visit. Thank you! Customize our menu and name one dish after you + free glass of wine and sake for 6 months everytime you visit our restaurant. Thank you! Dinner in the VIP area with the owner of Tokyo Fried House (up to 4 people). Special course + all you can drink from the pick out list. 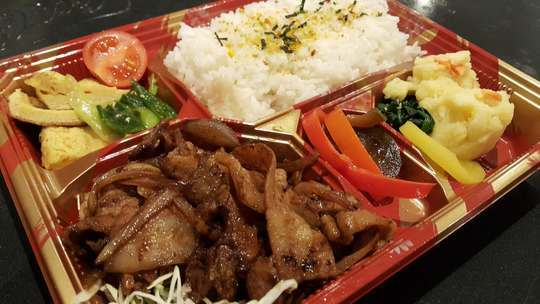 For example 2 special platters(try out different Japanese dishes on 1 platter) + Hirekatsu, karaage, rice, miso soup, gyoza, fried potato, agedashi tofu, corn butter, eda mame and drinks of your choice. Thank you! VIP membership for 3 months + all you can drink for you and your group of friends from our special drink menu list. Thank you! Coupon for €2000 at our restaurant. ( We don't give cash change back). 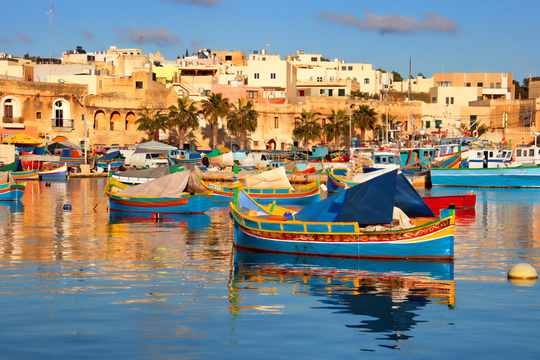 You can use up to €200 maximum per visit. Thank you! The whole restaurant is booked only for you for the evening + everybody gets 1 Japanese gift bag of snacks. You can use the restaurant for a party, private space, studio for a photo shoot, whatever you would like. Thank you! 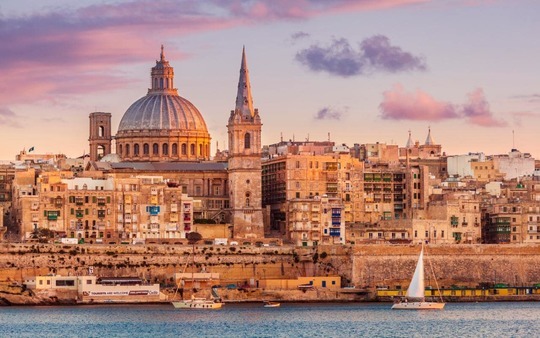 Flight to Malta (worldwide) + dinner or lunch and drink 1 time. For example a platter + Hirekatsu, karaage, rice, miso soup, gyoza, fried potato, agedashi tofu, corn butter, eda mame, sushi and a drink of your choice. Thank you!